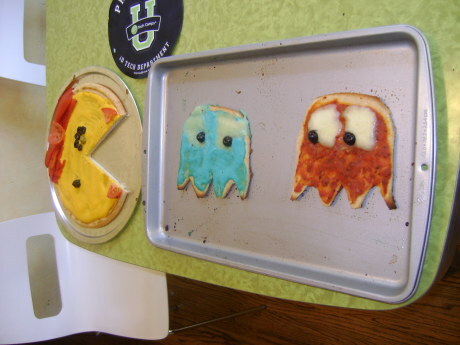 More Ms. Pac-Man Pizza - with Ghosts! Hi Everyone! 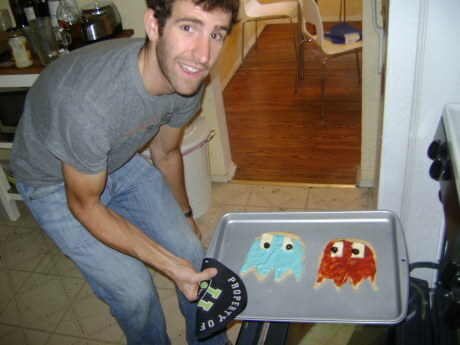 This blog is a Part II to my Ms. Pacman pizza blog, and a spinoff of my Pacman cookie recipe. 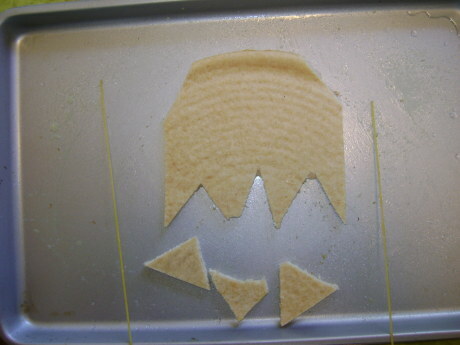 After making my Mrs. Pac-Man pizza, I had an entire pizza crust so I decided to make the “ghosts” from the Ms. Pacman game! 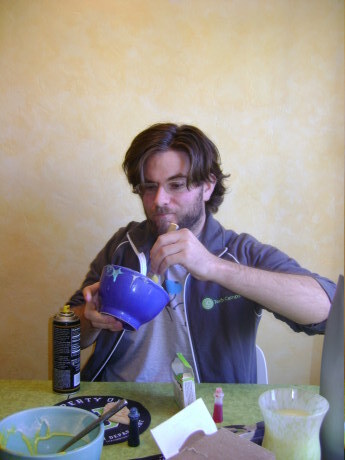 PROTIP – Don’t waste food! 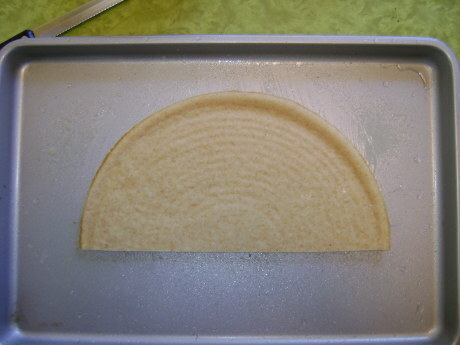 Dip the excess dough in the sauce you are making while you wait for the pizza to bake – yum! And repeat on the other half of the pizza. 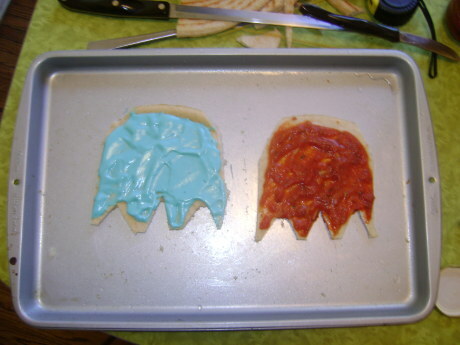 Blinky – the red ghost – Just as I was about to stir up some red food coloring I realized that I could just use the most fundamental of all pizza ingredients – tomato sauce! A pizza that only has tomato sauce as a topping is called a "tomato pie" (my favorite, a Philly tradition), however as we’ll be adding mozzarella slices for the eyes, this will be a "margarita" pizza. Pinky – the pink (duh) ghost - for this we can use an “blush” sauce which is usually used for pasta, typically gnocchi and ravioli. 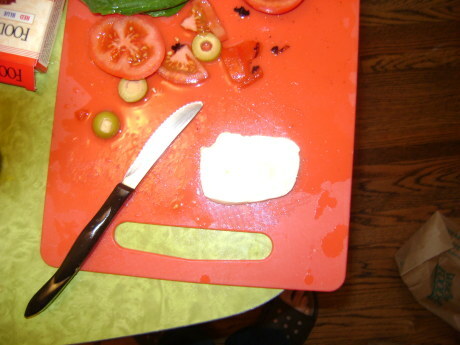 A blush sauce is a mixture of tomato sauce and Alfredo (more or less). 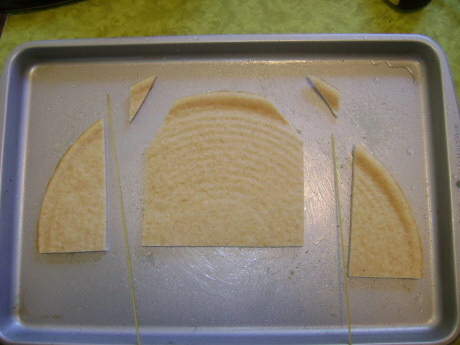 Refer to my Ms. Pacman blog for an Alfredo recipe or just use your favorite off the shelf! Sue (or Clyde in the orignal Pac-Man) the orange ghost – for orange, you can also use a blush sauce however , you’ll want to vary your ratio of tomato : Alfredo sauce. You'll want to use more Alfredo sauce and possibly even add some cheddar. I decided to make Blinky and Inky. 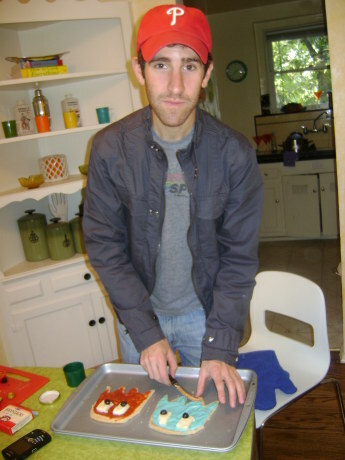 DO NOT LEAVE AN OVEN UNATTENDED! 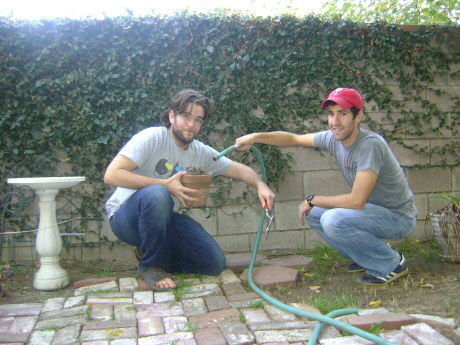 MAKE SURE YOUR PARENTS ARE WATCHING THE OVEN WHILE YOU GARDEN! Another master piece! 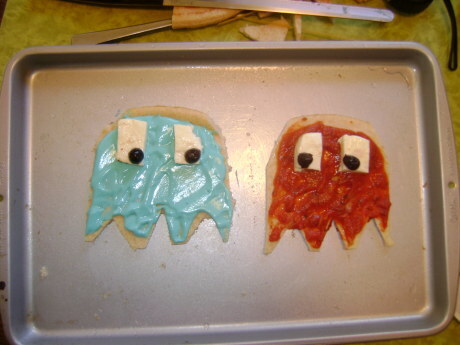 Now let’s eat those ghosts like we were Pac-Man!